The Boreray breed of sheep is frighteningly listed as "Critically endangered" by the Rare Breeds Survival Trust, because less than 300 Borerays are known to exist in the world!. The conservation of this breed is vital and Millfields are proud to be committed to helping this wonderful breed survive. We would like to encourage more breeders throughout the UK. Please contact us now should wish to help conserve these beautiful creatures. As seen on BBC Countryfile, as part of a nationally supported conservation and breeding project. The breed originated on the islands of St Kilda off the west coast of Scotland. These incredibly hardy sheep survived as feral animals on the islands of Boreray - hence its name. It is also known as the Boreray Blackface or Hebridean Blackface and shares many of the characteristics of the hebridean sheep, apart from the colour. 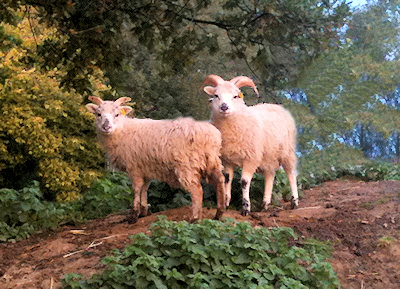 While all Hebrideans are black, only a very small percentage of Boreray are born brown or black, with the majority having creamy white coats and horns with black and white mottled faces. 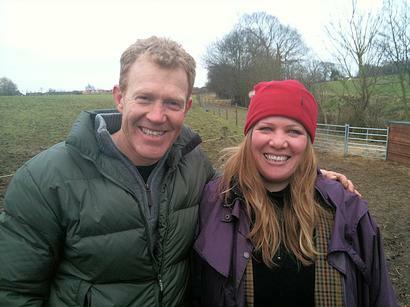 We are thrilled to have the support of Adam Henson and BBC Countryfile. Up until the end of the eighteenth century, the sheep from the Scottish Islands were called the Scottish Dunface or Old Scottish Shortwool and were similar to the sheep kept up to the Iron Age. 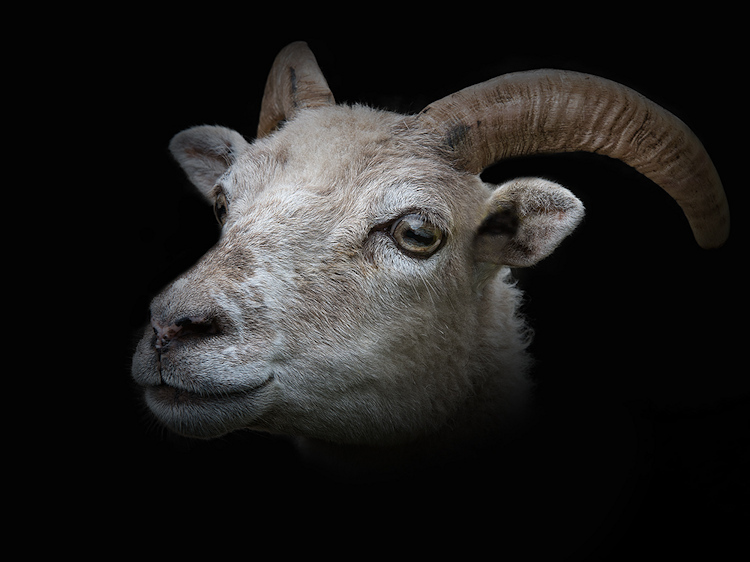 A variety of the Dunface lived on the St Kilda islands of Boreray and Hirta and were described as being: small, with short, coarse wool, and either 2 or sometimes 4 horns. When the St Kilda archipelago's human inhabitants were evacuated along with the sheep of Hirta, in 1930, the sheep on Boreray were left to become feral. These sheep became some of the few surviving descendants of the Dunface. In the 70s a small flock of 6 were exported to the mainland to begin to increase the population of the breed, but the majority of Borerays still remain on the island. Borerays are amongst the smallest sheep in the British Isles, with adult ewes weighing only 28 kg and standing at a height of only 55 cm. They have short tails and moult their fleeces naturally. Fleeces are rough in quality with the wool being best suited to the creation of tweeds or carpet yarns. The face, legs, and neck are often mottled. They are extremely flighty, most probably born from their feral instincts and so tend to stay close together as a flock. Only 15 bloodlines of the Boreray breed remain. The continuation of these bloodlines are vital to the conservation of this gorgeous little creature and we hope to encourage more breeders. Should you be interested in helping this breed to survive and flourish, please get in touch. Eating rare breed meat encourages more people to keep rare breeds and therefore helps to save endangered animals. Contact Us Now to support Boreray Conservation ! Millfields Rare Breeds breed Hebridean and Boreray rare breed sheep Boray Sheep and Bantam chickens, producing rare breed lamb and hatching eggs.